Arsenal midfielder Mesut Ozil is set to swap the club for Manchester United. 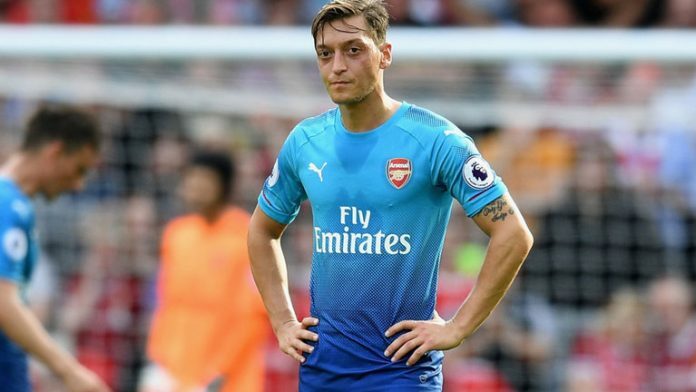 Ozil has refused to pen a new contract with the gunners, with his current deal running out at the end of the current season. The Mirror reports that the Germany international has had enough of life at the Emirates and is keen on the prospect of joining Jose Mourinho’s side. The 28-year-old is reportedly willing to let his deal run down and become a free agent next summer. The Manchester United manager is thought to be a long-time admirer of Ozil, who is demanding for £250,000-a-week from Arsenal. Mourinho reportedly has Ozil at the top of his wish list, alongside Atletico Madrid striker Antoine Griezmann.